Fabmath is an excellent resource for teachers/students for Math grades 1st-8th. 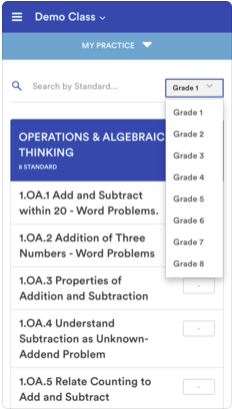 Fabmath is a great learning tool w/ educational portal that allows educators to assign tests, worksheets, and more, while tracking their students progress and needs. This allows teachers to different instruction and assess students in real-time while generating detailed reports. Also, Fabmath can be used on mobile devices making it easy for students to practice at home. I highly recommend checking out Fabmath by clicking here!!! For Fabmath on iOS click here. For Fabmath on Google Play click here.